Please both cheesecake lovers and PB fans with out Frozen Peanut Butter Pie. 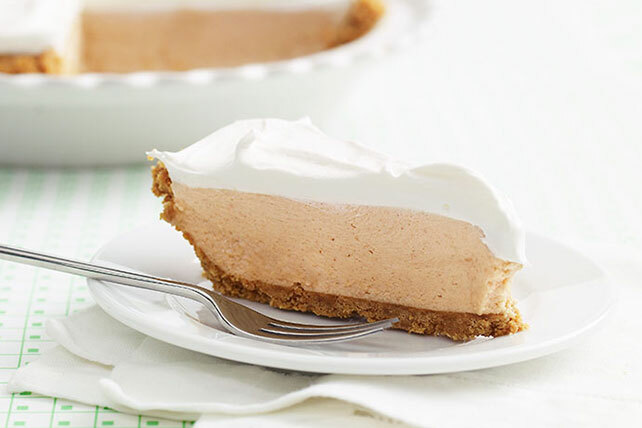 Our Frozen Peanut Butter Pie has a yummy peanut butter-cream cheese filling. Mix cookie crumbs and butter; press onto bottom and up side of 9-inch pie plate. Beat next 4 ingredients in medium bowl with mixer until well blended. Stir in 1-1/2 cups COOL WHIP; spoon into crust. Substitute 1 ready-to-use graham cracker crumb crust (6 oz.) for the homemade crumb crust. Crush cookies in a resealable plastic bag with a rolling pin. Or, use a food processor or blender.